Broncos Gab - Page 3 of 270 - The Definitive Denver Broncos Blog! The Broncos might just be looking at 2019 at this point, as reports say the team is close to sending receiver Demaryius Thomas to the Houston Texans. Ian Rapoport of NFL Network reports that the Broncos and Texans are close to a deal in which Thomas would head to Houston for a mid-round pick. 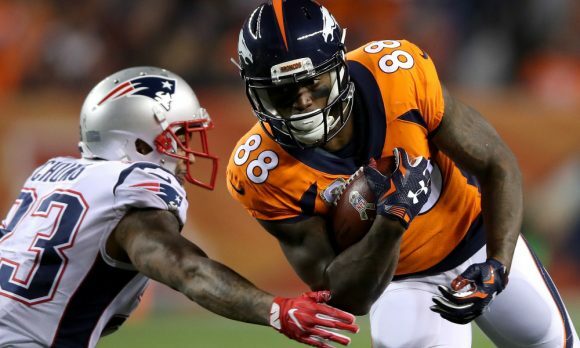 Sources: The #Texans are closing in on a deal for #Broncos WR Demaryius Thomas in exchange for a mid-round pick. They are finalizing. It’s Courtland Sutton’s time. The former first-round pick has 402 yards receiving this season to go along with three touchdowns. Since being a first-round pick in 2010 he has 9055 yards and 60 touchdowns for the Broncos to go along with one Super Bowl ring. 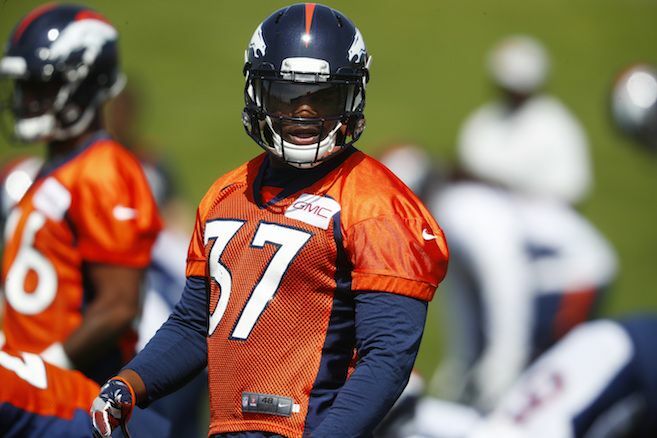 Broncos rookie running back Royce Freeman remained sidelined at practice on Thursday according to Troy Renck of Denver7. It appears that Freeman has little chance to suit up for the Broncos’ crucial road game against the Kansas City Chiefs on Sunday after suffering a high-ankle sprain in last Thursday’s win over the Arizona Cardinals. We would expect Freeman to be officially ruled out when the Broncos release their final injury report on Friday. Without him on the field, look for undrafted rookie sensation Phillip Lindsay to get the bulk of the work against the Chiefs’ soft run defense with Devontae Booker used as a change-of-pace back. For the season Freeman has thus far rushed for 309 yards and four touchdowns but he sees little work in the passing game. That’s right, no need to get scared. We have been here before, in fact, just last season. Will this be the turning point of the season for the Broncos or are they headed down the road for another 5-11 season, at best? The 5-0 Rams come into Denver boasting the leagues #1 offense. QB Jared Goff leads the NFL in passing yards with 1,727. He has completed 72.3% of his passes, only trailing Drew Brees. He has thrown 12 touchdowns to just 4 interceptions and they are firing on all cylinders. The Broncos have not looked good over their 3 game losing streak and are hoping that the season turns around today. Vance Joseph is certainly on the hot-seat and a blow out today at home by the Rams could spell the end of Joseph in Denver. The play calling on both sides of the ball has been way too conservative. We have to be mean and aggressive and we have to play smash mouth football on in all phases. I want to see players like Josey Jewell and Royce Freeman uncaged. I want to see Case Keenum stretch the field with Sutton, DT and Sanders. I want the Broncos to go back to the winning culture that all know and love. I want to cheer again. Everyone on the Broncos roster and staff knows what is at stake. Its time to right the ship, and it happens today, at home, against the unbeaten Rams. Convinced? Von Miller records 2 sacks, 1 FF and 1 TD. Royce Freeman rushes for over 100 yards. Keenum throws 3 touchdowns and 0 interceptions. One to Sanders, one to Sutton and one to DT. I am having a difficult time finding any real positives from the game yesterday. There were a few bright spots among the trash that the Broncos fielded yesterday on all three phases of the game. Courtland Sutton got his first NFL receiving touchdown. Case Keenum only threw one interception. Phillip Lindsay and Royce Freeman continue to shine when given the opportunity, but again, Denver abandoned the run game. I guess I can give the defense props for holding RB Bilal Powell to a mere five yards per carry. Shoutout to Demaryius Thomas for actually catching the ball on 5 of his 6 targets and eclipsing the century mark in receiving yards for the first time this season, oh, and congrats to Derek Wolfe for getting his first career interception. This one is glaringly obvious. You cannot give up 332 rushing yards in any game, let alone against a team like the Jets. The scarier part was the 14.6 average yards per run attempt by Isaiah Crowell. Getting gashed for 2 70+ yard plays in the same game is crazy, but you found a way to allow them to do it in the same damn quarter. Von Miller has been missing since Week 1. Denver’s secondary may as well sit on the bench. Vance Joseph has no clue what he is doing and Joe Woods wouldn’t know how to put a defense game plan together if it smacked him in the face. All of it. Inept offense. Porous run defense. 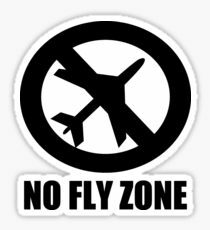 Frequent flier mile promotions for all travellers. A road loss to a 1-3 Jets team that lost to the Cleveland Browns. A coaching staff that is in over their heads and a GM that is apparently too proud to admit mistakes. It is time to rebuild this thing. Do it now. Don’t wait for the Rams to embarrass the Broncos at home on Sunday. Cut bait with Joseph. Show Joe Woods the door. Hand the clipboard to Case Keenum and hand the green dot to Chad Kelly. Do it now, do it today, and save the fan base. Case Keenum, this one’s for you. You were brought here to change the culture. You were brought here to not throw picks. You were brought here to get us back to a winning franchise where we score points and the defense dominates. It starts and ends with you. No touchdowns since week 1 is unacceptable. 6 picks to 3 TDs is unacceptable. Chad Kelly is waiting in the wings and if you keep it up, you will be holding the clipboard. How do you miss D.T. wide open? How do you throw costly interceptions in the redzone? Who do you think you are? Stay within yourself and get the ball to your play makers. Snap back to reality, Case. You are barely completing 60% of your passes. Your quarterback rating is dismal. You have the worst completion percentage in the NFL when receivers are WIDE OPEN! Think about that. Case, this one’s for you. Show me something. Do something to wow me. Its the Jets. Its the God-Damn Jets! Pro Football Talk reports that the Chiefs and Broncos had a huge Monday night in terms of people watching the game, as it was the highest Monday Night Football rating since Week Three of 2017. 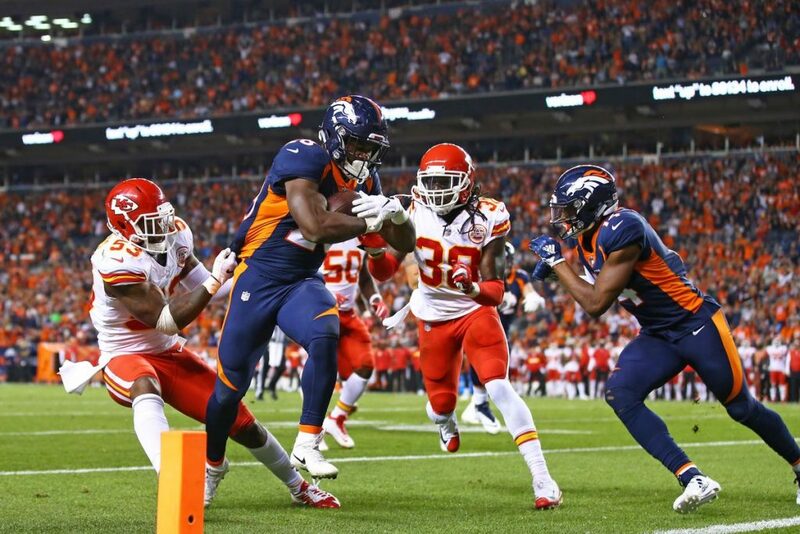 Via SportsBusiness Daily, Monday night’s Chiefs-Broncos game on ESPN generated a 9.1 rating. It was the best Monday night number since Week Three of the 2017 season (Cowboys-Cardinals) and an eight-percent increase over last year’s 8.4 rating for a Week Four Monday night game between Washington and the Chiefs. The rating for Monday night’s game matches the 9.1 rating generated by the Week Four game in Week Four of the 2016 season. Which essentially gets the NFL back to where it was in the year that the ratings slide began to become noticeable. The Monday night measurement continues a 2018 trend (for the most part) of ratings going up. And that’s a good thing for the NFL and the networks, especially at a time when the TV viewership continues to decline. Denver’s running game, before they decided to abandon it, was on point all night long. Phillip Lindsay averaged 5.8 yards per carry, collecting 69 yards on 12 carries and a touchdown. Royce Freeman averaged 8.4 yards per carry, while picking up 67 yards on 8 carries and a touchdown. Check out this run by Royce Freeman, courtesy of Twitter. You're not stopping this @rolls_royce21. And the run from Phillip Lindsay, also via Twitter. Lindsay and Freeman also made history last night as they became the first rookie tandem in Broncos history to each have more than 60 yards on the ground and a rushing touchdown in the same game. Why we abandoned the run, with the lead, is beyond me. When Kansas City got the ball back late in the 4th quarter, they were trailing the Broncos by 10 with 12:47 left to play in the game. QB Pat Mahomes took matters into his own hands, carving up the Broncos defense like he was preparing for a Thanksgiving dinner. In the ensuing drive, the Chiefs shaved 6:17 off the clock, capping off a 12 play, 75 yard drive with a 2 yard touchdown pass to TE Travis Kelce. When Denver got the ball back after the K.C. kickoff, there was still 6:27 left on the clock. With a three point lead, Denver ran all three plays of the drive from the shotgun. The first down run by Lindsay was sniffed out as he was stopped dead in his tracks at the line of scrimmage. 37 seconds later, Keenum couldn’t connect with Emmanuel Sanders on what appeared to be a screen play, only to be sacked on the very next play. Punter Marquette King poured salt on the open wound with a piss-poor punt of 35 yards, setting the Chiefs up with a short field and down by 3. The Chiefs regained possession after the punt with 4:35 left to play. Again, Mahomes was not finished carving up the Denver defense. After an 8 play, 60 yard drive that saw another 2:56 come off of the clock, the Chiefs were sitting pretty with a 4 point lead with just 1:39 left to play. Denver got the ball back on their own 25 with 1:39 left. Two first downs later, it looked like the Broncos were in the driver seat to put the game away. On 3rd and 10 with 22 seconds left, Demaryius Thomas found an opening in the Kansas City secondary which for a second looked like it was going to be the game winning touchdown. Instead, Thomas started his route slower than Case Keenum expected him to and Keenum overthrew Thomas just before the pylon. The next play was just as absurd, as Keenum connected with rookie receiver Cortland Sutton on the 4th down play for what appeared to be a first down, but he attempted a hook-and-ladder play and fumbled the ball, giving Mahomes and the Chiefs the win. Not going to beat around the bush with this one. The ugly, as it has been since his 3 touchdown performance in Week 1, is QB Case Keenum. Keenum was brought in to change the culture and success at the quarterback position. Instead, its an exact mirror image of last years QB carousel in the likes of Trevor Siemian and Brock Osweiler. Keenum now has 3 straight games with 0 passing touchdowns and 1 interception. After 4 games, Keenum has thrown for 3 touchdowns and 6 interceptions. Project those glorious numbers across the season; Keenum is projected, if he keeps up the way he has been going, to throw 12 touchdowns and 24 interceptions. In 11 games (10 starts) in 2017, Trevor Siemian threw for 12 touchdowns and 14 interceptions. Case Keenum is not the answer to the Broncos problems at quarterback. Vance Joseph is in over his head, and this Bronco team now trails the potent Chiefs by 2 games for the AFC West lead. If he doesn’t find a way to light up the Jets on Sunday, then it would be time to start Chad Kelly at the Rams and let it rip. The referees. 2 horrible no-calls on the final drive of the game. Delay of game should have been called as the play clock was clearly on 0 for about 2 seconds before the Chiefs got the snap off. Then, there was the play where Pat Mahomes stepped over the line of scrimmage before making a throw, and a completion. As the Broncos continue to hand out frequent flier miles to all opposing offenses, it may be time for them to consider a new promotion with the hottest offense in football coming to town for a primetime, Monday night showdown in the Mile High. The loss of Aqib Talib and the decline of play by Bradley Roby has caused quite a bit of dysfunction in the Broncos secondary. Currently, the Broncos are allowing opposing quarterbacks to post a whopping 102.2 quarterback rating. That’s good for the 9th worse in the league. Opposing quarterbacks have also completed 69.5 percent of their pass attempts, and Denver has only been able to intercept opposing quarterbacks twice. Last week in Baltimore, the Ravens had their way with the Broncos pass defense as well, as QB Joe Flacco completed more than 62% of his pass attempts. The week before, Derek Carr carved them to the tune of a 90% completion percentage and 288 yards. Amazingly, the Broncos, for the most part, have played bend but don’t break defense. Opponents have only score 5 touchdowns against the Denver defense in the first 3 contests of the year. The run defense has been a bright spot for Denver, as they are currently ranked 3rd in the NFL, holding opposing ball carriers to 77.7 yards per game. On offense, it hasn’t looked much different than it did a year ago. Slow starts and costly turnovers have made the Broncos play from behind for the majority of the 2018 campaign. It took 4th quarter comebacks in Weeks 1 and 2 at home, but the Broncos could not overcome the early deficit that they faced last week in a soggy, penalty riddled game against Baltimore. Case Keenum was hoped to bring a spark back to the Denver offense that we haven’t seen since Peyton Manning. Instead, his productivity has looked much more like Brock Oswelier and Trevor Siemian from last year. Keenum’s 743 passing yards is good for 25th in the league. His average of 247.7 yards per game puts him at #21. He owns a 3-to-5 touchdown-to-interception ratio, and has been afraid to stretch the field, averaging just 6.9 yards per attempt. His quarterback rating of 71.6 is 27 points lower than it was last year and he is only 2 interceptions shy of meeting the mark he set all of last season. If Denver is going to get back to its winning ways, it starts with the offense. The Broncos must find a way to take the lead quick and force opponents into a one-dimensional pass attack. This is where the Denver defense will excel. The visiting Chiefs are no joke. Andy Reid knows how to run an offense and Patrick Mahomes looks like he is in his 10th year in the league. He is setting records every week, and will come into Denver with the opportunity to take an early 2 game lead in the division. Tyreek Hill, Kareem Hunt and Travis Kelce round out this super potent offense. The Kansas City defense is horrible at best, so the Broncos should be able to keep up with Mahomes and turn this into a shootout. Containing Mahomes and making sure he stays in the pocket will be very important in Denver having success on the defensive side of the ball. If Denver can get some pressure on Mahomes and disrupt his timing and ability to extend plays, the Broncos should be able to force the youngster to make some ill-advised throws. It will be up to Denver to capitalize on those mistakes. 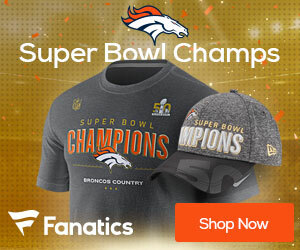 In order for the Broncos to even things up with the Chiefs atop the AFC West division, the Broncos will have to play flawless football in all three phases of the game. Turnovers and penalties will cause this game to get out of hand quick. We must control the tempo of the game, control the line of scrimmage by running the football, and control field position by capitalizing on 3rd down. Keenum needs to show Broncos Country why Elway hand picked him to lead us back to the promise land. After tonight, we will either be a legitimate contender for the AFC West crown, or we will be right back to where we were last year, wondering if Chad Kelly is the saviour that this team needs. This one is going to be a nailbiter. This could be back and forth all night long, and the team that comes out on top will be the team that makes a huge play late in the 4th quarter. If Denver is going to win, I think they will have to do it in the same manner that they got their first two wins at home. From behind. Denver wins.